> Decorate in style with these royal confetti balloons	> Each pack contains 8 balloons. 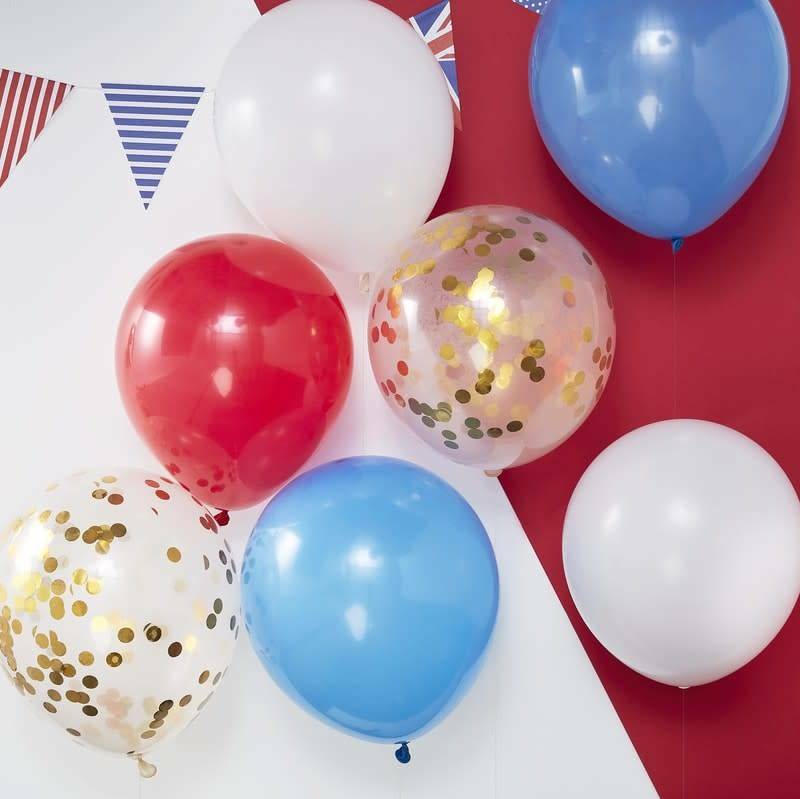 Use this mixed pack of Balloons at your royal celebration to create a truly amazing party! Each pack includes red, white, blue and gold confetti balloons. Make you party extra special with these gorgeous coloured balloons. Add a touch of sparkle by matching the gold confetti balloons with the gold Party Like Royalty Backdrop! 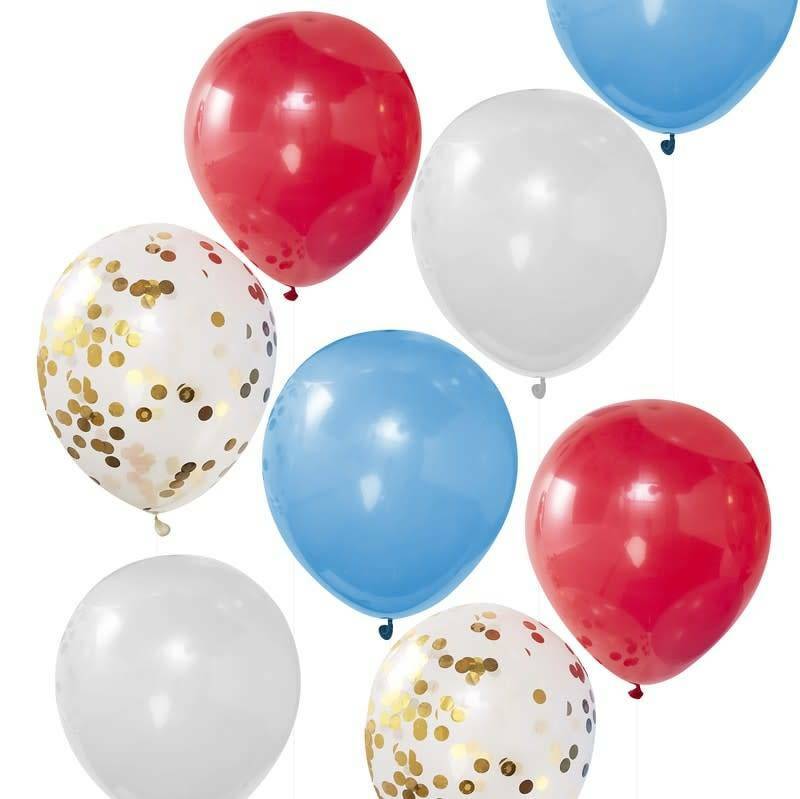 Each pack contains 8x balloons: 2x red, 2x white, 2x blue and 2x gold confetti. Balloons measure 12".